You have chosen Dublin as your preferred holiday destination. 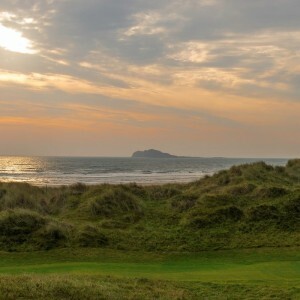 Located between Portmarnock Golf Links and the famous five-mile “Velvet Strand’ beach, and overlooking the Irish Sea, this grand 19th-century building was previously owned by the Jameson Whiskey dynasty and offers a relaxing break for all. 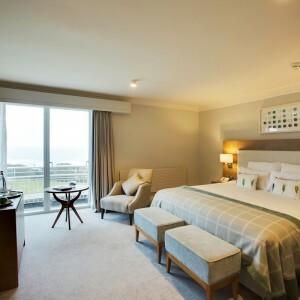 Themed around the elements of wind, sea and sand, guest rooms are bright and decorated in warm, natural colours with modern furnishings. 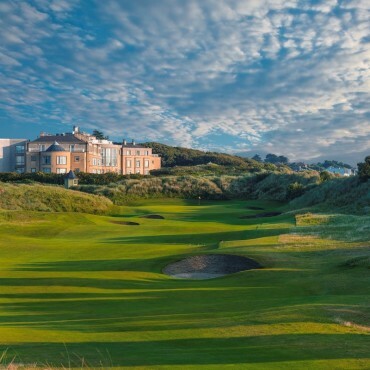 All enjoy enviable views across the manicured gardens, golf links or the beach. 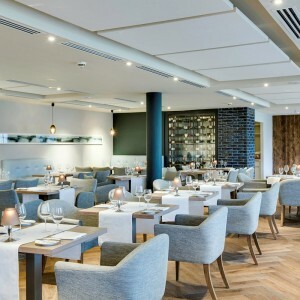 Guests can enjoy a casual menu at The Seaview, offering all day dining as well as traditional afternoon tea accompanied by the stunning views, as the name would suggest, whilst The 1780 Restaurant offers a sumptuous buffet breakfast and an a la carte dinner menu. The oak paneled, high-ceilinged Jameson Bar is located in the ‘old house’ area of the resort, and provides an ambient place to unwind with live music on Friday and Saturday evenings. 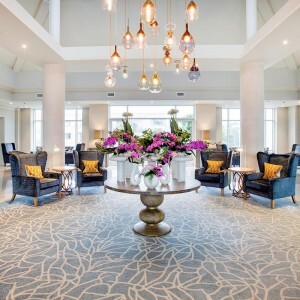 Total relaxation and indulgence are ensured at The SPA at Portmanock, with a large range of massages and beauty treatments are on the menu using a selection of SPA partners, such as Elemis and Carita. The Gym is equipped with TechnoGym equipment, which allows for a complete workout. It’s all about the links golf with the Bernard Langer designed, 18-hole championship golf course directly attached to the hotel promising a challenging round in a picturesque setting, overlooking the Irish Sea and neighbouring peninsula.